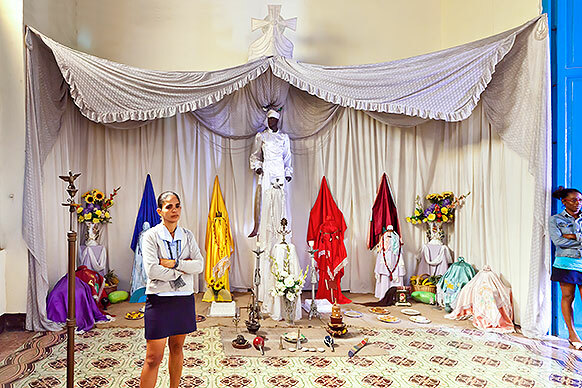 Wanting to know a little bit about the mysterious Afro-Cuban religion of Santería, we set out for Guanabacoa, historically its cultural center. 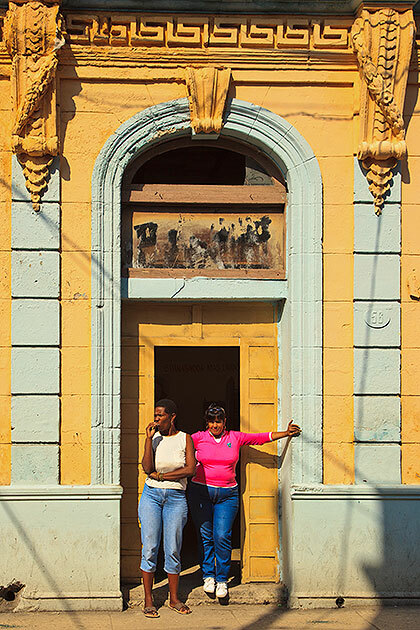 Entering Guanabacoa, we see that it is a bit dilapidated, as is most of Havana. It wasn't always that way. 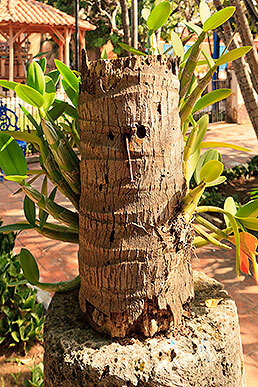 Use the slider beneath the photograph to pan across it. 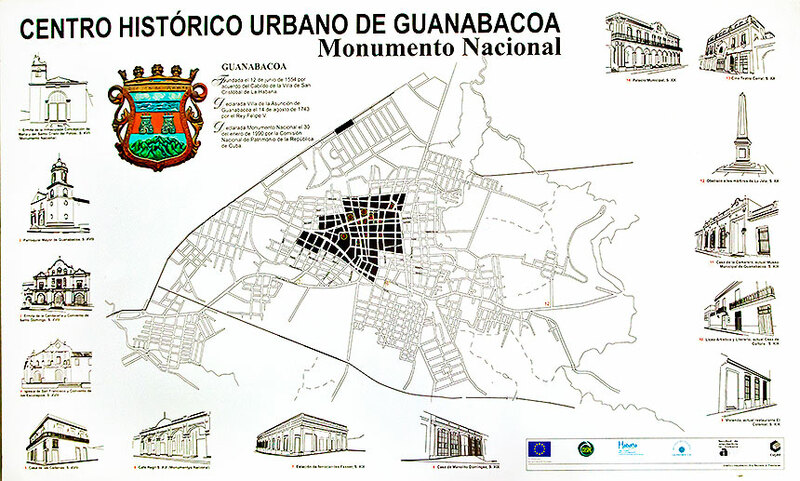 One of the 15 municipalities of Havana, Guanabacoa was founded in 1607, and became the hub of slave trafficking in Cuba. 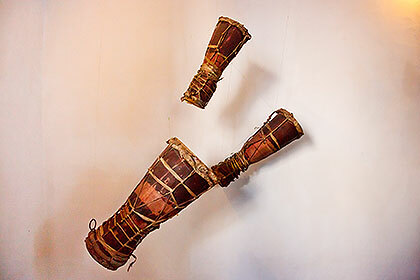 It retains an association with Afro-Cuban culture in general, and the religion of Santería in particular (Santería is also called Regla de Ocha). 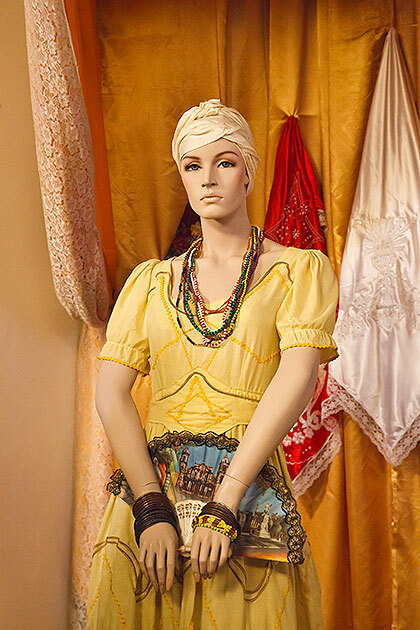 Barred by their Spanish overlords from practicing their native African religion, Nigerian slaves adapted it into the structure and formalities of Catholicism. 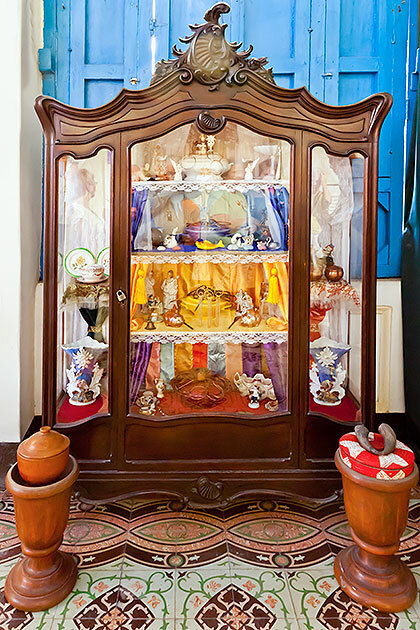 Gods became saints (orishas), and rituals took on a veneer of Christianity without being profoundly transformed. 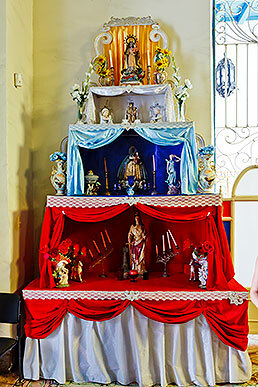 Santería is practiced in homes rather than churches; the rather handsome church seen above as we are entering Guanabacoa is Catholic. 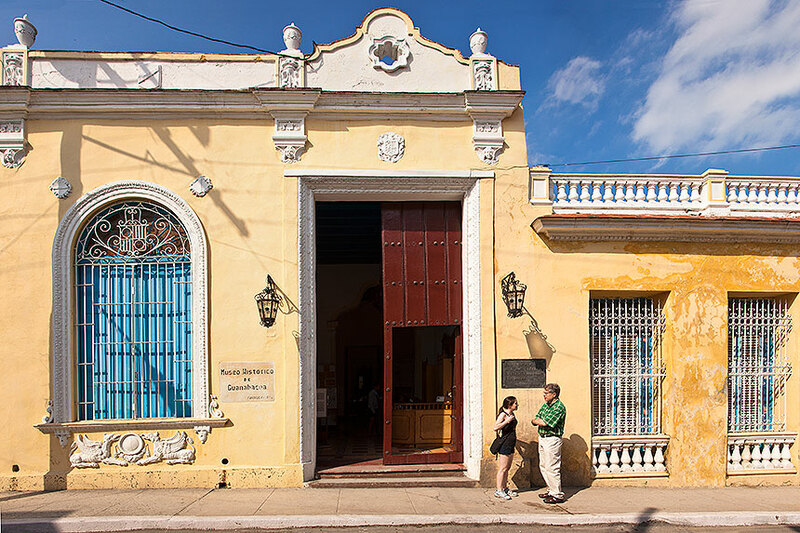 It is the Hermitage of Potosi, the oldest building in Guanabacoa and the oldest religious structure still standing anywhere in Cuba. 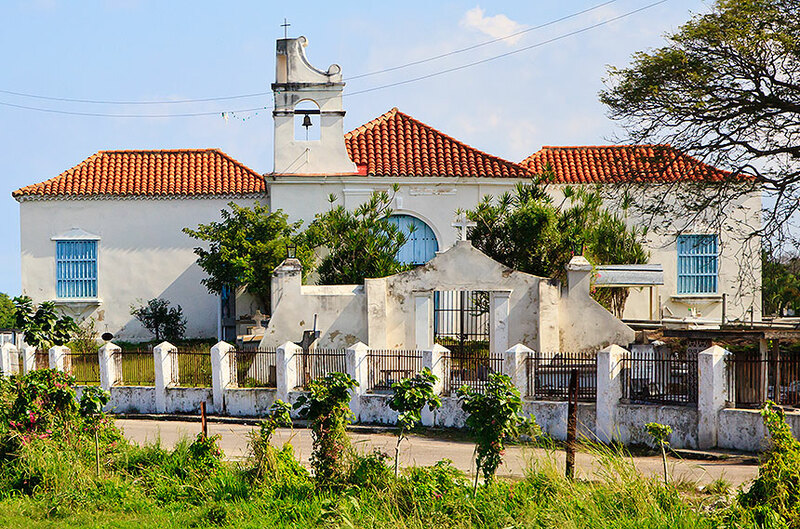 Dating from 1644, it had fallen into a bad state of repair, but it was declared a National Monument in 1997, and after a recent restoration it attracts many visitors. 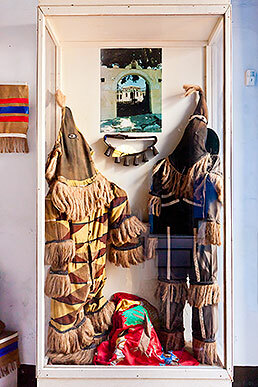 However, we pass on by as we do not have time to stop here today. 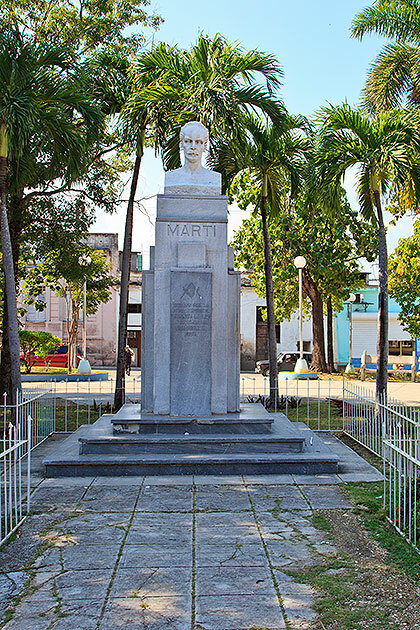 Park Marti, shown at left with a statue of the patriot, is near the center of Guanabacoa. 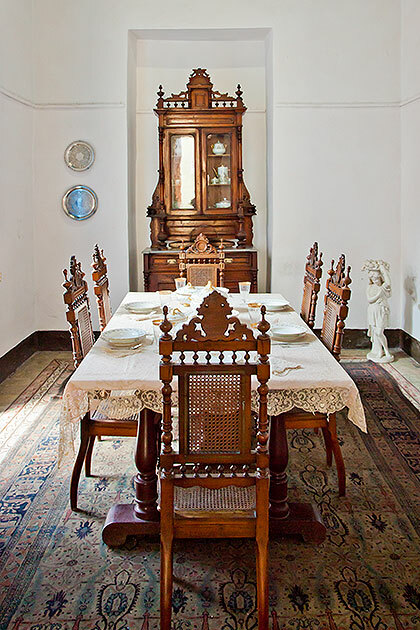 A couple blocks further west is the museum we intend to visit. 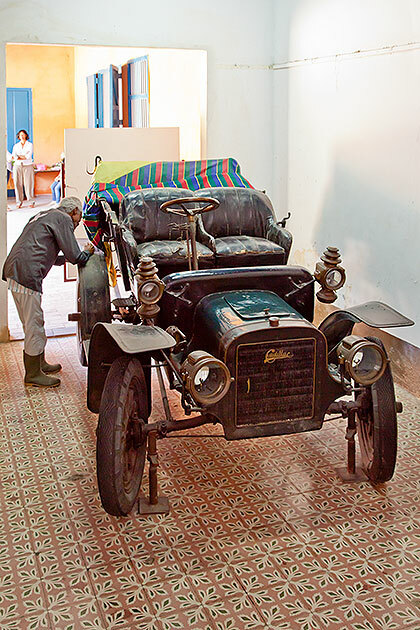 The Museo Historico Municipal de Guanabacoa displays the map above. 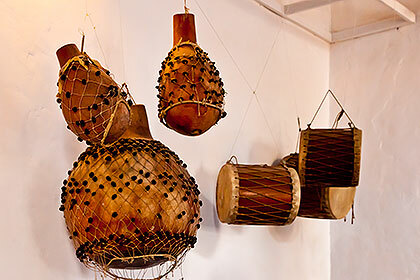 The museum has exhibits on history, arts, archaeology, weapons, photographs and documents as well as religious ethnology, but we focus only on the exhibits of Santería. 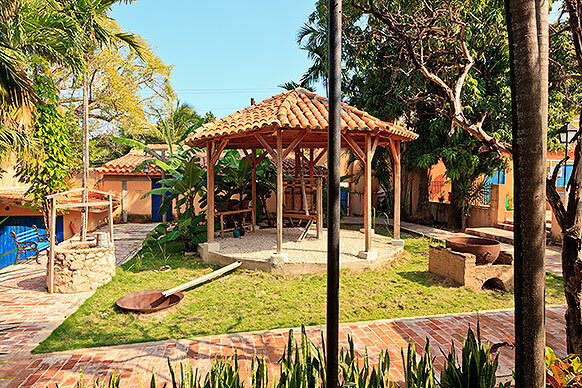 On the way in we pass by a couple of the historical exhibits (above), as well as the courtyard and a tree-trunk statue (below). 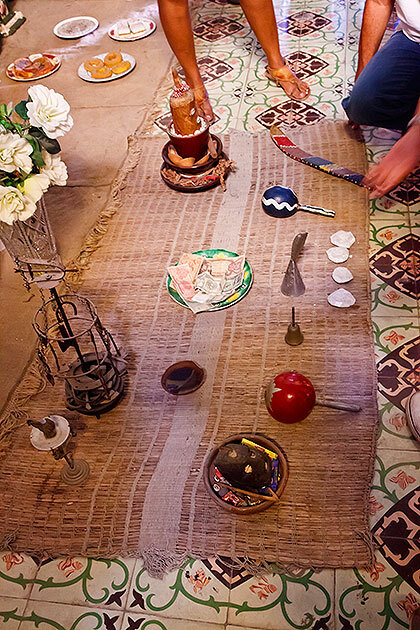 The Santería exhibits start here. We are unable to supply much interpretive information. 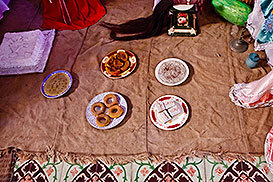 Offerings, religious objects and drums (bata). 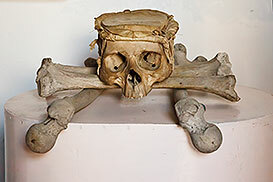 Yes, those are human bones in the center. 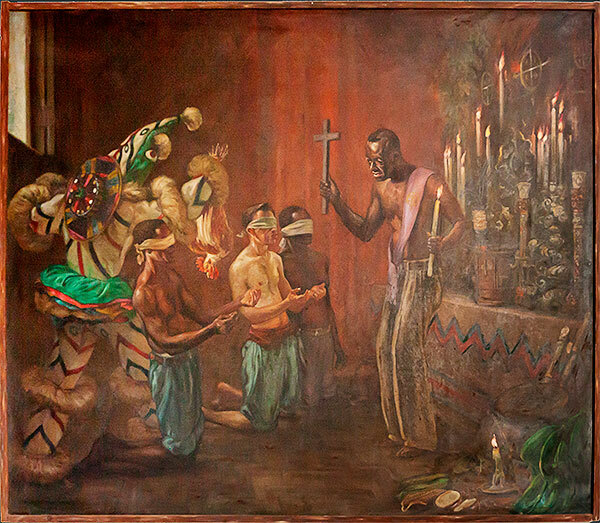 Painting of an initiation ceremony. 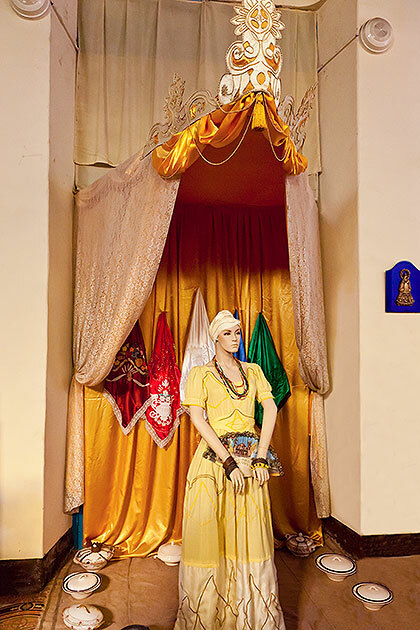 At right (on pedestal just left of the blue door) is the Mano Poderosa, a wooden sculpture claimed to assist in making contact with the dead. 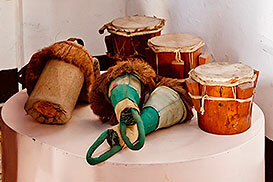 The bata are drums, in clusters of three, used in Santería ceremonies. 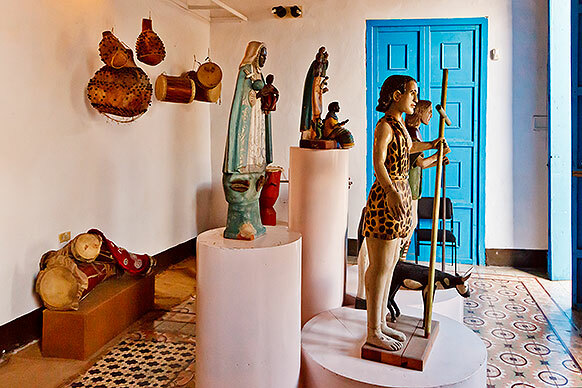 Museo Histórico Municipal de Guanabacoa.